Home » Television Repair » Why does my TV have lines and How Do I Fix it? Why does my TV have lines and How Do I Fix it? Comments Off on Why does my TV have lines and How Do I Fix it? Most of us can experience a problem or two with our TV sets. The most common one is when lines appear on your screen and then you start to get annoyed because you can’t watch your favorite sitcom properly. Lines on your TV usually signal some type of part malfunction with your TV which is why it should be inspected. What does a line on a TV mean and how can this be fixed? Removeandreplace.com explains that in a good five years or so, a normal television set will most likely show some type of defect. This is common especially if you watch your TV more frequently then usually so it’s not always the brand of your TV that’s at fault. As mentioned above, the most common type of symptom is when it starts to show vertical or horizontal lines when you are watching a TV show. Cnet.com laid down some steps that you can do in case you encounter this type of TV issue. It is also good to take note that usually lines appear when your television has a bad or faulty capacitor. So always check with your local TV repair technician or ask an expert about how long the parts usually are good for before you buy a new TV set. Good capacitors can last more than five years. So what are the first steps you can try to resolve this? 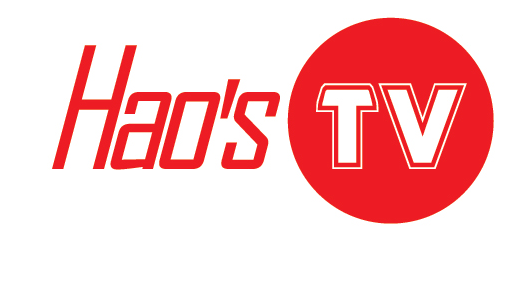 If you are not familiar with TV parts, always consult with a TV repair technician. Do not try to do it by yourself because the problem can get worst. The first thing to do is to try to reboot the TV set. Turn it off and then turn it on again. If the same line appears, proceed to the next step. Double check the connection of all connectors. 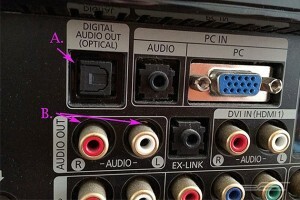 Be sure all are properly connected such as the coax and the HDMI. This is to ensure that all inputs are properly received. Open your TV case and try to look for a bulging capacitor. If you see one that is already flat then it is time to replace you TV’s capacitor. If you see no bulging capacitor, then you might need to completely replace the circuit board. This can really be expensive so it’s always best to check and see if the price of the TV is worth it. If you are a Samsung user, you are lucky because samsungsupport.com has addressed some of the basic things you can do to fix this problem. Do a picture test. Click Menu, and then go to Support. You will see a Self-diagnosis and option, click it and then press Picture test. After doing this step, you will be asked if the same problem persists. If yes, then ask a TV expert to fix your television. If not then there might be something wrong with your picture settings, remove any connections and try to connect them back again securely. Picture Setting. After you checked that all connections are secured, go to picture settings. Again, press on Menu, Picture and then Reset. These are some of the basic things you can do to fix lines on your TV. However, if the same problems persist, then there could be another major issue at hand so going to your local TV repair shop would be the best way to get assistance in the fastest way possible.